When Cambridge’s Tobin School launched a new educational initiative two years ago, teachers weren’t sure how long it would take to see the effects. But within four months, there was a striking change: Struggling students found it easier to focus; some disruptive students were better behaved; and students who often missed school on Fridays suddenly showed up. What was the miracle? Food. Every Friday, school staff discreetly gave low-income students a backpack filled with $6 worth of food to take home for the weekend, including a turkey sandwich, mac-n-cheese, an apple, and oatmeal. One in six students in Massachusetts suffers from food insecurity — they worry about where their next meal will come from. Many low-income students rely on school for both breakfast and lunch, provided free or at a reduced price. But meals aren’t provided on weekends, leaving many students hungry. The scientific research is clear: Hunger interferes with learning. Twenty percent of our daily calories go to powering our brains. When we don’t eat enough, our brains struggle to process. We become irritable and anxious. Long-term studies of children link nutrition and brain development. Prolonged hunger is associated with learning delays, behavioral difficulties, and lower academic achievement. Cambridge’s program was started two years ago by Alanna Mallon. The Weekend Backpack Program, piloted with 15 students, has spread across Cambridge, and supports 250 children at 10 public schools. The program is supported by the city, neighborhood churches, local businesses, community organizations, small grants, and individual donors. The first backpack program was started in one of the nation’s most food-insecure states: Arkansas. 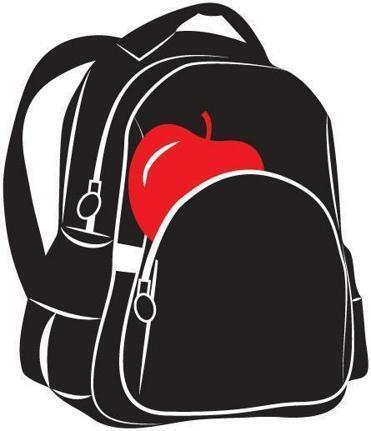 The program now provides backpacks of food to over 18,000 children statewide. In Massachusetts, the program exists in a handful of cities, including Somerville, Salem, Holyoke, and Brockton. The program is one of several solutions addressing child hunger. The Greater Boston Food Bank, which for six years distributed backpacks to over 1,500 children, is transitioning to school-based pantries, where families can pick out free food once or twice a month. What if Massachusetts committed to ensuring that every child suffering from food insecurity went home each weekend with a backpack of meals? Such a goal is surprisingly affordable. It would add, on average, only about $40 to annual education costs per child in the state — an increase of less then one third of one percent. And this cost could be shared among multiple sources. Governor Baker, who recently proposed increasing education spending, could offer one-to-one state matches to cities starting backpack programs. A seed-grant program was included in the 2015 budget, but was dropped as part of budget cuts. The governor also could draw on the support of national nonprofits like Feeding America, which has helped support backpack programs in almost every state. Massachusetts should be sure to carefully measure the program’s impact. While the experiences of teachers, parents, and students strongly support the effectiveness of these programs, there is a need for rigorous research on how best to design them. Most importantly, we cannot expect children to master fractions if they are only eating a fraction of the food they need to succeed. Children shouldn’t come to school hungry, but rather hungry to learn.